"I cherish my time at Brush Creek and appreciate how unique the learning experience was. It inspired me to ask questions, invest time in topics that interested me, and develop a passion for knowledge." 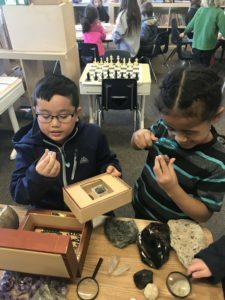 "Each classroom has a strong Montessori foundation, encouraging students to work through problems, help others, and be aware of their environment. My daughter has expressed a balance of independence, confidence, and curiosity from her time at Brush Creek Montessori School." "Montessori education has been a great fit for our family and I have enjoyed watching the girls' independence and self-awareness grow over the 4 years we have been here." "While there are many choices of schools, very few offer the same kind of loving, academic, and beautiful atmosphere!" Learn about our school, its rich history and why we educate children the way we do.